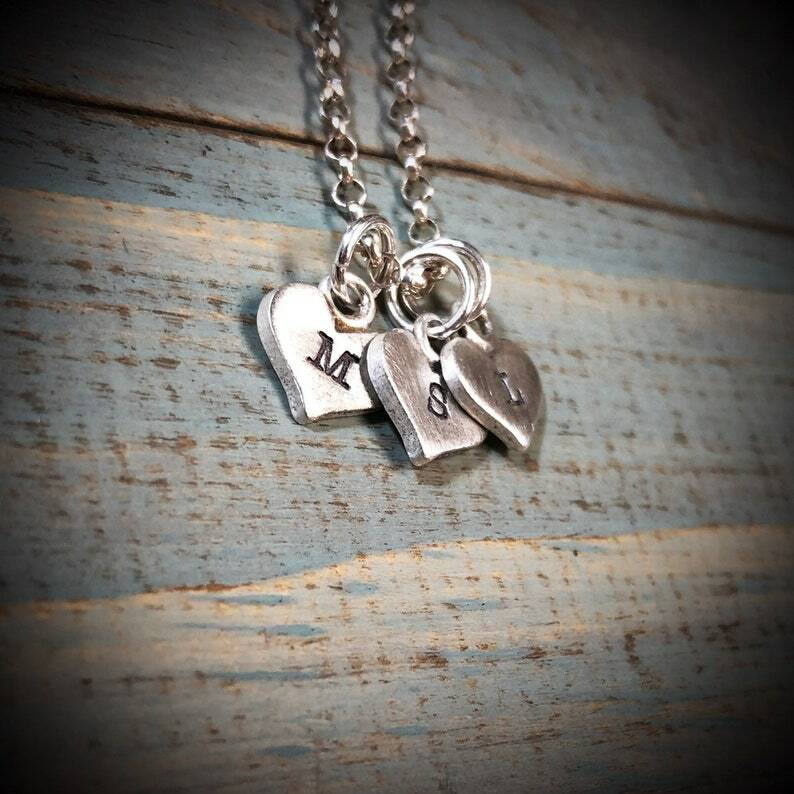 Sterling Silver thick little Hearts Charm Necklace with Initials - choose how many - Rustic and Dainty. Choose font for Initial! I love these little hearts. I make them myself, because you just can’t seem to buy this thick, yet comfortable size anywhere! You may choose your style of font for the initials. I can do upper OR lower case for a variety of custom looks! These charms come in a matte/brushed finish only, except upon special request for other finishes. 1. SELECT THE FONT for your initials. I can do upper OR lower case, for a variety of looks! (above drop down list) - if you want more than one, please message me or explain in the "comments to seller" upon checkout. 2. SELECT THE NUMBER of CHARMS. Sterling Silver Bar Necklace - Statement Pendant - Simple, Minimalist Word, Phrase or Message Necklace. Choose Your Font & Finish. Found. A Sterling Silver and Freshwater Coin Pearl Petal Necklace. Secret Message Necklace. Choose Your Font & Finish Style Personalized. Written on My Heart ... solid sterling silver artisan custom Necklace. Choose Your own Font, Finish, Message or Names or Words. Handmade.